1. Woodrow Wilson, “Peace without victory,” 1917. As described above, Wilson merely echoed what many citizens and politicians had already been pleading for, an end to the ruinous war without having to have a victor and a loser. The tremendous costs and hardships of the war, including the growing reluctance of the people of the engaged countries to support continued war led politicians to believe that failure to win a victory would certainly result in some sort of revolution or at the very least the current regime being replaced, blamed for failure to win the war. World War I would go on for nearly 2 more years, costing hundreds of thousands of more lives on the battlefields and weakening the world’s population, resulting in an influenza epidemic that killed more people than the war itself. 2. 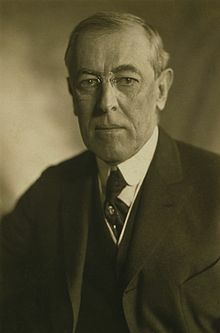 Woodrow Wilson, League of Nations, 1920. Once again, the scholar and academician Wilson proved he had suffered from “Ivory Tower Syndrome” with his lack of a grasp on the reality of the depravity of humankind when his dream of a League of Nations was established in 1920. This precursor to the United Nations was supposed to create an international forum where nations could work out problems verbally instead of through war. Wilson could not even get the United States to join the League! When efforts to resolve the Sino-Japanese crisis over Manchuria in 1933 resulted in every member nation voting against Japan, except Japan, the Japanese merely walked out of the League, never to return. Of course, the League also failed to prevent World War II, and in 1943 the Allies agreed to disband the League and replace it with The United Nations. 3. Us Government & Various Native American Tribes, 1800’s. Just like the British before the establishment of the United States, the European American governments signed treaty after treaty with Native American (aka, Indian) tribes in an effort to avoid physical clashes between Whites and Natives. The Native people often broke the terms of the treaties, but overwhelmingly the situation was that these Native leaders were hopelessly optimistic in believing the treaties agreed to would provide lasting terms for the co-existence of White and Native Americans. 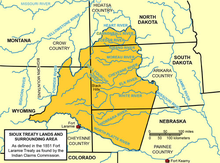 The ever increasing numbers of European Americans and the Westward expansion of the United States meant that Native lands guaranteed by treaty would soon be violated, with the Native Americans pushed onto smaller and smaller, and less desirable “reservations” each time a treaty was agreed to. The obvious optimistic nature of the treaties offered by the US government was seen as the empty promises those treaties really were by dissenting Natives, and conflict within Native tribes broke out between those who would sign the treaty and those who would refuse the obvious bad deal. Fool me once, shame on me, fool me a few hundred times, shame on humanity! 4. United States and League of Nations, World Disarmament Conference, 1932-1934. Like the Hague Conferences of 1899 and 1907, and the Washington Naval Treaty of 1921-1924 (later modified by the London Naval Treaties of 1930 and 1936), the World Disarmament Conference was an overly, unrealistic optimistic attempt to prevent War. The Conference actually trudged along all the way to 1937, and represented another of the many failures of the League of Nations. Germany was by this time in the thrall of Adolf Hitler and was experiencing a resurgence in nationalism, with an eye toward revenge for the defeat of World War I. Japan was taking over Manchuria and had eyes on the rest of China and a future Asian empire with Tokyo at the center. A major problem that defeated those negotiators that sought peace were the definitions of “offensive” and “defensive” weapons. Nations were expected to provide for their own defense, but not to field weapons designed for offensive actions. Apparently it did not occur to the folks with rose colored glasses that virtually all weapons are both offensive and defensive. 5. Treaty of Versailles, 1919. 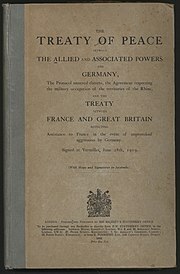 As stated above, the warring nations of World War I were loathe to have expended so many lives and so much treasure on a war that did not include some form of “victory.” Thus, there had to be a “loser,” and in Article 231 of the Treaty of Versailles Germany was named as the aggressor nation and various punishments, reparations, territorial concessions, and future limitations on Germany’s military were levied. The naïve Allied framers of the Treaty hoped that the pact would prevent Germany from rising from the ashes of World War I to again make aggressive war on the rest of Europe. They were sadly mistaken! The resentment of the harsh terms of the Treaty forced upon the Germans just about guaranteed that at some point a resentful Germany would attempt to “right the wrongs” of the Treaty by conducting a new war, which is exactly what happened. Some hard liners among the Allies bemoaned the “leniency” of the Treaty, while in the United States the Senate never ratified the Treaty. 6. Soviet-German Non-Aggression Pact, 1939. How could anyone expect a deal between Hitler and Stalin to have any honor whatsoever? Seriously, these 2 dictators are possibly the worst human beings ever to lead a major nation, perhaps causing each to underestimate the depravity of the other. 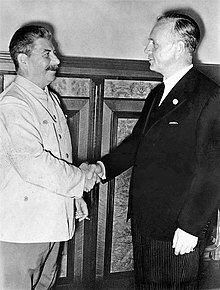 When this dirty pact was signed in 1939, the major obstacle for Germany to start an aggressive war was removed when the Soviet Union agreed to not attack Germany and Germany promised (fingers crossed?) not to attack the USSR. Of course, in 1941 Hitler and Germany invaded the Soviet Union in a surprise (only to the Russians) attack that precipitated a massive war on the Eastern Front that resulted in tens of millions of deaths. 7. Neville Chamberlain, “Peace in our time,” Munich Agreement, 1938. Chamberlain was the Prime Minister of the United Kingdom in 1938 when a resurgent Germany led by despot Adolf Hitler was rattling swords and aggressively pursuing territorial claims in violation of the terms of the Treaty of Versailles. Britain and others had stood by helplessly as Germany rearmed, and in what is often seen as selling out Czechoslovakia in the Munich Agreement, allowed Hitler and Germany to annex the Sudetenland over the objections of the Czech government. 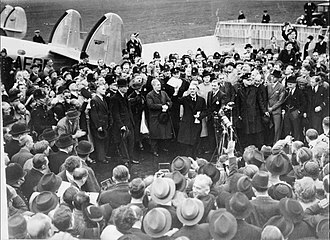 Chamberlain triumphantly crowed about his diplomatic “achievement” as providing “Peace in our time” and foolishly thought he could trust Hitler’s claim to have no further territorial designs. Of course, Chamberlain was completely taken in, and has gone down in history as one of the most gullible politicians of all time. By 1939 Hitler invaded Poland and the world was once again at war. This particular instance of diplomatic naivete is so egregious that numerous books, plays, movies and other cultural references have repeatedly decried the stupidity and gullibility behind that agreement. 8. International Geneva Conference of 1954, First Indochina War, 1954. After World War II, the French attempted to reassert control over their colony of French Indochina, notably what is now Vietnam, and were met with fierce resistance by communist forces of Vietnamese under Ho Chi Minh. 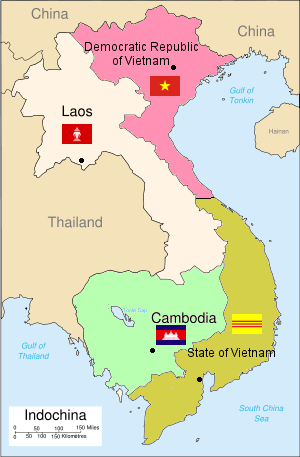 After the catastrophic defeat of the French at Dien Bien Phu, a treaty dividing Vietnam into a North and South separate countries divided by the 17th parallel was agreed to, the North being a communist country and the South being a Western (US) backed “democracy.” The agreement called for elections in 1956 to create a unified Vietnam, and also created the Kingdom of Cambodia and the Kingdom of Laos (2 more failed attempts to secure peace). Of course, the Vietnamese nationalists and the communists led by Ho would never stop trying to take over all of Vietnam, and the peace treaty was only cover for the communist forces to regroup and resume their war to take over the South, ultimately becoming successful in 1975. 9. Richard Nixon, “Peace with Honor,” 1973. 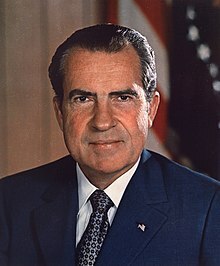 The United States public was tired of the seemingly never ending war in Vietnam by 1972, and President Richard Nixon was under extreme pressure to end the war, though also to end the war without seeming to have lost the war. Nixon promised the American people “Peace with Honor” and in 1973 delivered on his promise with the signing of the Paris Peace Accords that supposedly ended the nearly 2 decade Second Indochina War (what Americans call The Vietnam War). The Americans pulled out their military forces from Vietnam, and violations of the agreement started almost immediately, with both the North and the South committing violations. Meanwhile, the US was wracked by the Watergate Scandal and ignored the treaty violations, leaving the Vietnamese to their own devices, creating a mockery of the agreement (although the US Senate never ratified the agreement). Nixon’s phony peace was merely a variation on the ruse of “declaring victory and going home.” By April 30, 1975, North Vietnamese regular Army forces rolled into Saigon and the remaining US diplomats were evacuated, completing the travesty of the Paris Peace Accords. 10. War of the Sixth Coalition, Treaty of Fontainebleau, 1814. The penultimate of the Napoleonic Wars, the War of the Sixth Coalition took place from March of 1813 to May of 1814, more or less a mere continuation of all the previous Napoleonic Wars. Once Napoleon Bonaparte had assumed power in France in 1799, Europe was already in the throes of wars and a France resurgent after the chaos of the French Revolution was eager to assert her “rightful” place as a major power (or the major power) on continental Europe. After each of the “Wars of Coalitions” short lived peace treaties were made, only to soon be violated and war resumed. The Treaty of Fontainebleau was no different in this regard, but with a twist. This time, it was Napoleon Bonaparte that was forced to accept terms amounting to surrender, agreeing to abdicate his throne as Emperor of the French and going into exile on the island of Elba. The countries allied against Napoleonic France were eagerly carving up Europe to their satisfaction while Napoleon stewed on Elba. Plots and plans to violate the treaty by the British reached Napoleon’s ears on Elba, and fearing being assassinated or sent into a more remote and hostile exile, he returned to France in March of 1815, and resumed his throne as Emperor. Napoleon thought (optimistically) that he could make peace with the Allies and remain on the throne, but the Allies, especially the English, would have none of that. The next 3 months, known as the Hundred Days, saw renewed war known as The War of the Seventh Coalition, the final of the Napoleonic Wars, in which Napoleon was defeated at Waterloo and sent into a final exile on the island of St. Helena. After 6 wars in which the peace accords were violated each time, why did the negotiators think 1814 would be different? More proof that people are naïve! Jian Lang, Wang. Unequal Treaties and China (2 Volume Set). Enrich Publishing, 2016. Nieberg, Michael. The Treaty of Versailles: A Concise History. Oxford University Press, 2017. Previous ArticleJanuary 21, 2018: Stipe Miocic Defends HWT MMA Title, Greatest HWT of All Time!